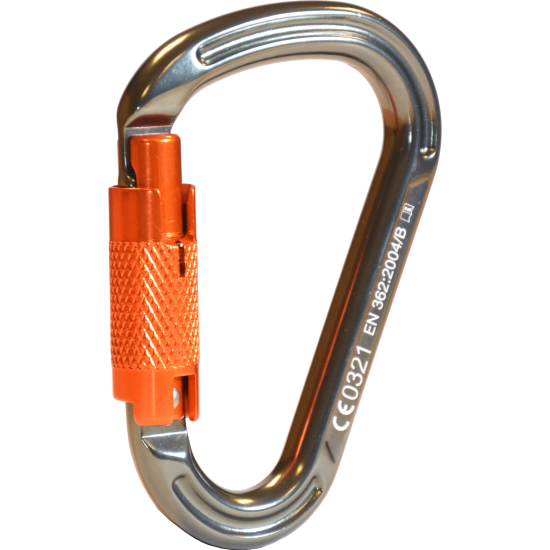 The THK006 HMS (pear shaped) karabiner from Treehog has a large top section to accommodate knots & hitches & a smaller, well rounded basket for self-centralising. Due to the slightly asymmetrical design on the longitudinal axis, the THK006 has a good strength to weight ratio & fit comfortably in the hand. With a triple action locking gate, it is certificated to EN362B & rated at 23kN. The gate is both safe but easily operated & will not snag on ropes due to the key-lock nose design. Also, it has a gate opening of 23mm.